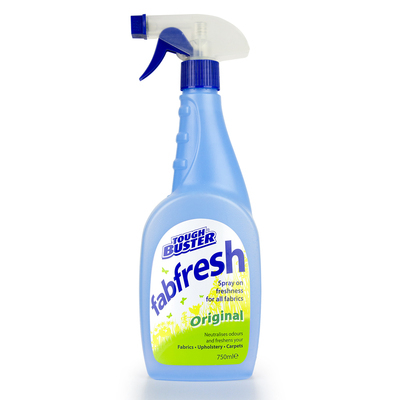 Bringing your upholstery back to it's original pride, our Fabfresh Antibacterial Fabric Freshener has a powerful formulation that makes it ideal for use in busy environments. Created to offer antibacterial function, the spray mixture neutralises unpleasant odours including tobacco, pets and cooking scents. Suitable for most fabric types, this fabric freshener can also be used on carpets and is suitable for repeated use. Simply spray onto your desired location form approximately 10" away and enjoy those freshly laundered scents without any extra loads. Make sure every room smells as inviting as possible with our other freshening items including our Air Freshener Refill Canisters available in multiple scents including Citrus Zing. Our Fragranced Vacuum Fresheners can also add a touch of scented cleanliness to any environment.